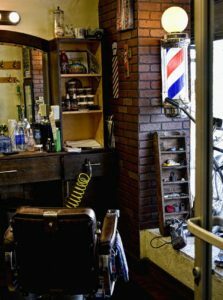 DUBLIN — A barbershop in Ireland has been fined 5,000 Euro after an employee declined to cut the hair of a woman who identifies as a man, as he noted that the business has a lease agreement to only cut men’s hair. McLoughlin consequently filed a complaint with the Workplace Relations Commission (WRC), telling the entity that the barber uttered the words in front of a number of other patrons, which made her embarrassed and she had to undergo counseling. She claimed that she was the subject of discrimination under the Equal Status Act, being turned away on the grounds of gender. Charlie’s Barbers responded to the complaint by advising that the barber at issue was indeed informed that the business lease prevented employees from cutting women’s hair, and that he didn’t know he had done anything wrong as he thought he was preventing an infraction of the lease agreement. He said he didn’t realize that McLoughlin said she identified as a man until later. However, the WRC ruled in favor of McLoughlin, asserting that she had been unlawfully discriminated against. “I conclude that the complainant was treated differently, because he was transgender when he was refused a haircut by the respondent. This amounts to discrimination on the grounds of gender,” said Adjudication Officer Gerard McMahon. Charlie’s Barbers was consequently fined 5,000 Euro, which equals about 5,791 U.S. dollars. As previously reported, a similar situation occurred in the U.S. in 2016 when a woman who identifies a “genderqueer,” or “a person who … identifies with neither, both, or a combination of male and female genders” visited The Barbershop in Rancho Cucamonga, California. Barber Richard Hernandez advised that he could not assist the woman, citing that he doesn’t cut women’s hair at all. However, patron Kendall Oliver pressed the issue, calling the shop later to try again a second time. Hernandez told television station KNBC that he has “religious convictions that prevent [him] from cutting women’s hair” and that the issue had nothing to do with discriminating against transgenders as he doesn’t believe in haircuts for women at all. He later signed an agreement to not turn anyone away who requests a haircut.